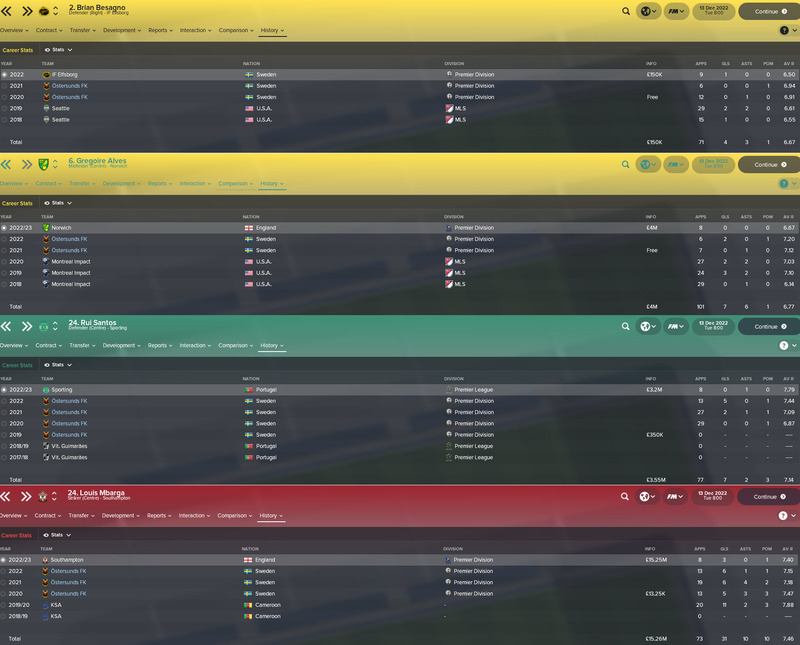 Building your squad in Football Manager is one of the most important aspects of a long-term save. My save with Ostersund was originally intended to be a save where I’d win the Swedish Allsvenskan and move clubs. Yet I have grown incredibly fond of my squad and, seven seasons in, I still have no intention of moving on. 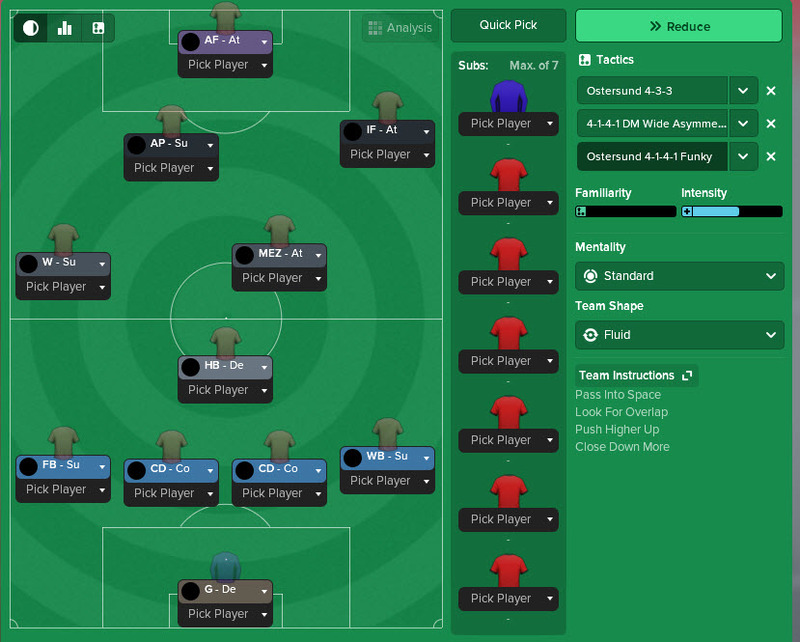 In this post I’ll be discussing how I’ve built my Ostersund squad as well as taking an in-depth look at the players in my team moving into season eight. Let’s get started! 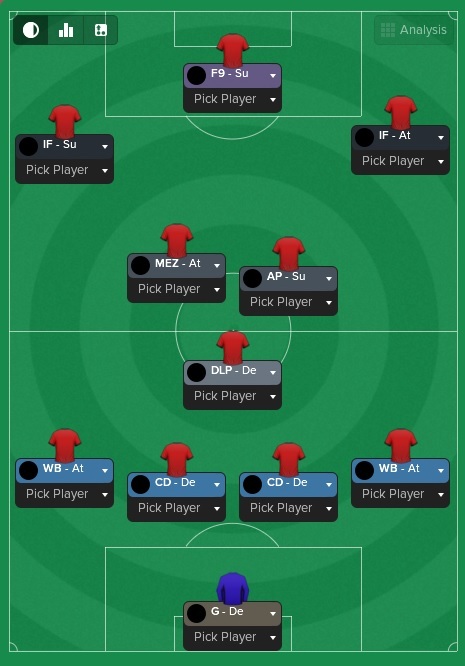 The following ‘guide’ on building a squad is based on how I built my current Ostersund squad. There are, of course, other ways to build a squad and I’m interested to know how you do it! Leave a comment if you want to share your method of squad building. When joining a new club, the first thing I do (in terms of my tactic) is to look at my best players and fit them into a system that will let them thrive. Shown below are the five best players in my Ostersund squad as I joined them in 2017. Ken Sema, clearly the best attacking player in our squad, was the player I wanted to focus our attacks around. Fouad Bachirou was our rock in central midfield and with his decent creativity the deep-lying playmaker role suited him. We had one standout striker in Ghoddos who preferred to play as a false-nine. Taking into account the other players in the squad, the formation shown on the right is how we set up our tactic after joining Ostersund. A pretty standard 4-5-1 with a DM and two attacking wide players. This is the beginning of our squad build as we don’t really know the players yet and so we are focussing on our top five, playing to their strengths. Even if the formation is successful and I think that it could work long-term, I will still look to make some tweaks to better suit our players. This could be down to the players we have suiting other roles better or it could be a tactical change that I am basing on our performances on the pitch. As you can see from the screenshot, a change I made to our starting formation with Ostersund was to change the roles of our midfield three. In doing this, our midfield three were defensively more solid and this helped us improve results on the pitch. The aim in our first two seasons is to perfect a tactic, and I feel in this Ostersund save that I achieved that. In our second season with Ostersund we came 2nd using this tactic. In seasons 3-4 I’ll look to buy players that fit our tactic. Our formation doesn’t use an attacking-midfielder in the middle, and so I would not look to buy a player in that position, regardless of their ability. Instead, I’ll focus on bringing in players to improve positions we use. An example of this would be Rui Santos, a centre-back who was a clear improvement on Pettersson and Papagiannopolous. One of the main factors behind success in long-term saves is money. In seasons 3-4, once a tactic is sorted and our team is playing well on the pitch, I look to sign payers with huge potential that could end up making us a lot of money in the future. Here is Saheed Udeh, a young goalkeeper we signed on a free transfer. Just 1 year later he was targetted by PSG who then signed him for over £1M. Transfers like these help increase the profile of the club whilst enabling us to target better players to bring in. Below is a screenshot of just four of the youngsters we brought in and then sold on. Around £23M in profit (since this screenshot we have earned another £20M from the Mbarga sale through sell on percentages). Now we have begun to earn some money and we have a tactic that we are comfortable with, now is the time to really start pushing on. From season five onwards I really tried to find the star player that could take Ostersund to the next level. In doing this, I sacrificed the stable formation we had and adapted to this rather funky formation to allow our new players to thrive. Although the formation is different, the way we play is the same and the majority of the roles are the same. This will help us adapt to the change quicker. Now, let’s take a look at our Ostersund squad at the end of our seventh season. I am very happy with the squad and this is the reason for me wanting to write this post. Swedish keeper Linde was our first choice keeper before Pridham arrived. His nationality makes him imperative to our squad as it helps towards the minimum of nine homegrown players to be selected in a matchday squad. Milan Pridham was signed after he was spotted playing for the Canada national side. He is a superstar, but it is looking likely that he will not be an Ostersund player for much longer. He is unhappy and his contract ends at the end of 2025, in two seasons time. Let’s hope we can change his mind! 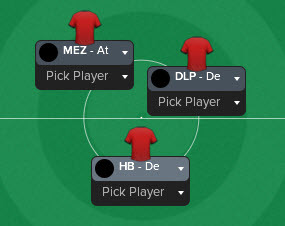 Three of the defenders shown below were signed at the end of season 7 / during season 8 and therefore have yet to play for Ostersund. Here are two of the defenders yet to play for Ostersund, both of our right-backs. One key thing to note is that both players are Swedish and therefore count towards the homegrown quota. I tried to sign Karlsson myself but AC Milan bought him from Malmo before loaning him to us. We signed Stenmark from Elfsborg for just under £500K. Djuranovic has the potential to be our best ever defender. I’m hoping that he will be the rock in our defence for many years to come. Jones comes into the Ostersund squad midway through season eight. He replaces Sanikidze who leaves for Bournemouth. Jones is an English centre-back with very decent attributes. Tom Pettersson has been the heart of our defence for several years but is coming towards the end of his playing days. He has already announced that he will retire at the end of our eighth season with Ostersund. His leadership qualities will be sorely missed. As mentioned, Sanikidze has left Ostersund after two years at the club. For a while he was sat in Rui Santos’ shadow but he became an important member after Santos departed. Our best newgen to have come through the youth setup is Tesfa. The youngster has played 84 times for Ostersund and he is still only 18. I’m hoping that he has a big future ahead of him with our side. But in all honestly I’ve yet to find the perfect position for him. He is too short to be a full-time centre-back moving forward and lacks the attacking skills of a full-back. My thought is that he’ll become our half-back but I’m really not certain. Widgren is a player that started with us at Ostersund, but I ended up selling him to Barnsley after they offered £500K for him. 5 seasons later I resigned him on a free and he is still our starting left-back. This is a position I would like to improve but with Widgren being Swedish I’m reluctant to buy a foreign player to take his place. Fouad Bachirou has been ever-present in this Ostersund side since my arrival seven seasons ago. He won’t be with us for much longer as he is simply not good enough, but his experience and presence will be useful right up until the moment he leaves. Tatsuro Tai has only just joined us. And it is another Japanese player! He’ll join Ken Sasaki and will become a great player for us in the future. He’ll start by challenging Yavuz for the half-back role but eventually I see him in the mezzala role. Yavuz is our first-choice DM and has been for the past few seasons. He has been with us for four seasons and is an important member of our squad now that Bachirou is fading away. Jaba Jibuti has only played 1 game for us, but I believe he could well have a huge role to play for us in the future. He will spend next season on loan at title-rivals Norrkoping and when he returns he will be considered a homegrown Swedish player (trained at a Swedish club for three years before turning 21). Here is our superstar signing we spoke about earlier. Papuga wasn’t a hot prospect that would grow into our team, he was a signing we sought to fit straight into the first-team and make an immediate impact. Let’s hope he stays with us for a long time – but if he doesn’t I’m expecting a record transfer fee for him. Mats Wahlberg is challenging Tesfa for the accolade of being the best homegrown talent our academy has produced so far. The central-midfielder could claim that title but he does seem to have a problem with injuries, despite not actually being injury prone. In the past year he has suffered a damaged spine three times, meaning his development has taken a large step in the wrong direction. Alexander Nyman is another hot prospect to generate in our academy. He hasn’t played too much for us yet, but I expect him to challenge Sasaki for the left wing role in seasons to come. He’ll certainly play a part in the upcoming season in the league and the lesser important matches. Game-time is crucial to his development. Our Japanese star. I found Sasaki whilst looking through Asian international sides and signed him as soon as I saw him. He’s now played over 130 games for us and has made 44 assists – an assist every 3 appearances. Kozar has been a regular in my Ostersund side since Angel Gomes’ departure. The attacking-midfielder has netted 21 goals and assisted 33 in his 3 seasons at the club. I have the feeling that we could improve on Kozar but he will nonetheless be an important squad member in the years to come. Both Rodriguez and Sanchez were signed towards the end of the 2023 season. Neither play has a long-term future at the club due to their age, but they both certainly can be expected to contribute in the upcoming season. They are both technically excellent for my level and should be more than useful substitutes to be able to bring on off the bench. Both signed for free, too. Our final youth academy graduate in the squad is Marcus Strandberg. The midfielder is starting to push Kozar for the attacking-mid place and although Kozar is far better than Strandberg, the Swede has the advantage of being, well, a Swede. Having good Swedish players really is crucial to our continued success in this save. Probably the best player, in terms of statistics, in this save so far. Gudmundsson came in as a replacement for Ken Sema in the inside forward role and he has more than made it his own. 60 goals in 4 seasons is incredible and a true testament to the skill Gudmundsson possesses. Levi must feel hard done by as the Swede was signed alongside Gudmundsson. 23 goals in over 100 games is an impressive record for a player mostly used off the bench. Rhian Brewster was our loanee striker in the seventh season but he will be joining us permanently in the summer of 2024. His 27 goals in 31 games ensured my faith remained with the English striker and although he will join on a free his wages are more than treble the next highest earner. Neglia could well be, attribute-wise, our best striker so far for Ostersund. The Juventus youngster will join Ostersund for the second half of the 2024 season so it will be interesting to see how he performs. Lie Skalevik was a monster in the early years of this save but he has certainly been left behind as the quality of our squad has improved. Nevertheless the Norwegian striker proved useful towards the end of this season with a couple of our strikers being injured. He is currently a record holder for Ostersund with the most league goals for the club. I’m in love with the squad I have built here at Ostersund. Pridham in goal, Djuranovic in defence, Sasaki and Tai our Japanese wonderkids, Papuga and Wahlberg mezzala-ing things up in the middle, Brewster leading the way up top with Sanchez and James Rodriguez sitting on the bench, itching to get on. I have never quite felt so attached to a squad on Football Manager, but there are always areas to improve. We need to solidify our defence and add extra depth there. Our defence is good enough for the quality in the Allsvenskan but if we want to compete in Europe we need extra quality at the back. I am confident that we have a Champions League-quality attack, it is our defence I am worried about. Thank you very much for reading another instalment of our Football Manager 2018 story here on VivaLaVidaFM. I hope you enjoyed my take on building a squad in FM18 and a look into our squad at Ostersund. What do you think of this post? Let me know in the comments. This entry was posted in FM18 Stories, Football Manager 2018, Oscar Friberg, Ostersunds FK | @VivaLaVidaFM and tagged europe, fm stories, fm18, football manager, Oscar Friberg, ostersund, sweden, swedish allsvenskan. Bookmark the permalink.